Canada’s grocery stores are in fierce competition for your food shopping dollar. Find out how you can prosper from this and provide a valuable service to your community by mystery shopping in grocery stores. Yes, you can get paid to shop in grocery stores and get free food as a mystery shopper. And what’s more, you’ll be helping to improve customer service at your local food retailers. From specialty food shops to large chain stores and big-volume, warehouse-style grocers - grocery stores and supermarkets throughout Canada are major employers of mystery shoppers. Regular use of mystery shopping programs in grocery stores ensures that their locations, products and customer service are as good as possible to retain customer loyalty and boost profits. This type of information is vital to the reputation and financial health of the store. A mystery shopper’s evaluation gives a grocery store the chance to take any necessary measures to improve areas where they are lacking. It also allows them to build on their strengths. All ensuring continued customer satisfaction and retaining customer loyalty. Just so you understand why secret shopping is so important to the success of any grocery store, let’s take a closer look at the retail food industry. Canadian grocery stores and supermarkets sell huge volumes of food and related products and can serve hundreds, if not thousands of customers daily. Based on national averages, a typical consumer visits a grocery store 1.8 times a week and spends $42.02 each time they visit. The retail food industry is unique in that grocery stores and supermarkets all pretty much carry the same products. Except for small and varying price adjustments and layout of the store - the only real difference between competing grocery stores is the kind of shopping experience a customer has while in the store. Grocery store owners all know this, so they have to make every effort possible to set themselves apart from the other stores. Consider Canada’s biggest grocery store, Loblaw’s. With more than 1,000 different locations throughout the country, the Loblaw’s group of stores currently serves about 14 million grocery shoppers every week. A meager 1 percent increase in customer loyalty would gain them another 140,000 customers a week representing nearly $12 million in additional weekly revenue. This gives you an idea of just how big the retail food industry in Canada really is and just how much is at stake. So it stands to reason that any supermarket would want to offer the very best shopping experience and build customer loyalty. This is best accomplished with an aggressive and ongoing mystery shopping program. > The overall image and presentation of the store. > Were there any stray shopping carts in the parking lot? > Were the premises clean and inviting? > Were the fruits and vegetables ripe and displayed in an appealing manner? > Were the shelves well stocked and easily accessible? > Were the staff well-groomed and courteous? > How was your experience with the cashier and bagger? > Or other questions if this kind. After you’ve checked out your groceries and left the store, you simply complete your Shopper’s Report (answering the questions above) and you’re paid for your comments. And you’re done! You'll be paid to shop for groceries and get free food too. Generally speaking, most mystery shoppers really love the grocery store assignments because the pay is good, they are usually quite easy and quick to complete and you come home with free food! A typical mystery shopping assignment in a grocery store will pay you about $20.00 - plus your purchase will be free. Since you have to buy groceries anyway, why not work as a mystery shopper and get some of your groceries for free. Treat yourself to fresh fruit and vegetables, fine cuts of meat, bread, dairy, snacks… whatever you need. Would you like get paid to shop at grocery stores and get free food in exchange for your opinion? Mystery Shopping Providers Canada can get you started. 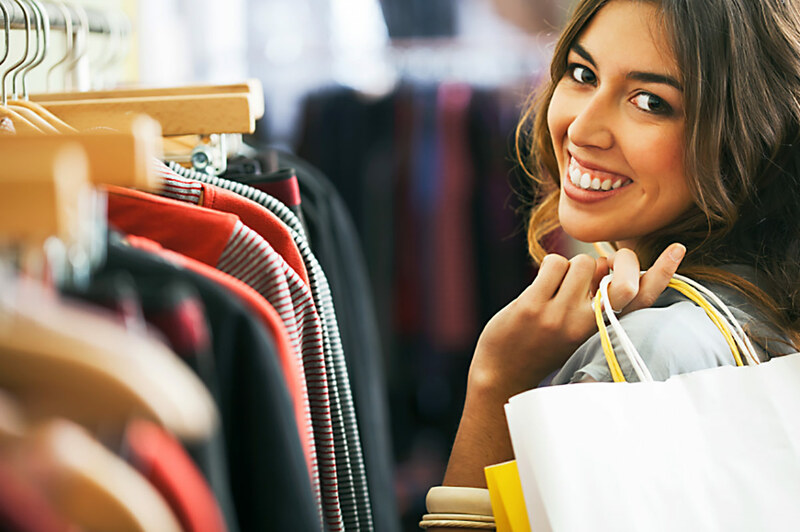 We specialize in connecting new shoppers with mystery shopping jobs throughout Canada. Sign up today and you could be getting paid to shop and dine out tomorrow! Visit the link below to learn more. The following list identifies national and regional grocery stores and supermarkets in Canada that would typically use a mystery shopping service.